At MFE, our Drone Insurance policies cover the damage and liability to your drone in the event there is an accident or you lose your drone. In the entertainment industry, drone use is quickly becoming one of the most popular means of film production. Filmmakers are devoting more budget toward sophisticated drones, meaning there is an increased risk of monetary loss if the drone is damaged or lost during production. With Drone Insurance, your company can avoid potential loss, and focus your time and energy towards film production. An Aviation Liability Insurance policy from MFE Insurance protects you and/or your business from claims of bodily injury and property damage that may arise during the course of business. The coverage will also pay for any defense costs associated with the liability claim. A “third party” can be anyone other than the insured’s employees and workers (e.g., a person walking by and is struck in the head by your drone). What Does Aviation Liability Insurance Cover? At minimum, Aviation Liability Insurance covers the cost of investigating claims and defending against third-party lawsuits. It pays attorney fees, court costs, witness fees, settlements, and court-ordered judgments. The policy may also cover an injured party’s immediate medical expenses and the cost of repairing or replacing their damaged property. For example: A worker on the production set gets hit on the head by a falling drone. If that worker sustained bodily injuries, they can sue you for medical expenses and other damages. In the event this happens, the Aviation Liability Insurance policy acquired through MFE’s Drone Insurance products will respond by protecting you as well as paying any damages you may be found negligent for. Hull Coverage Insurance will protect your company from any financial damages that may result from physical damage to the drone. Hull Coverage Insurance policy coverage varies depending on the value of the proposed covered drone, this is referred to as an “Agreed Value” between both parties. In the event you crash your drone, a Hull Coverage Insurance policy will cover the previously “Agreed Value” cost of the drone, after the deductible has been met. Personal & Advertising Liability Insurance is an important policy to add because it protects you against libel, slander, defamation; and most importantly, invasion of privacy. How Does Personal & Advertising Liability Insurance Apply To My Business? Imagine being sued for inadvertently snapping an image of a human or a brand, and that image was published without the owner’s consent. Personal & Advertising Liability Insurance will defend you during the course of the lawsuit and pay any damages you are found liable for. A Medical Payments Insurance policy acquired through MFE Insurance will cover any medical costs associated with a drone accident, regardless of which party is at fault. If applicable, Medical Payments Insurance will cover funeral expenses, injuries to drone operator, injuries to any non-drone operators, required dental care, etc. How Does Medical Payments Insurance Apply To My Business? 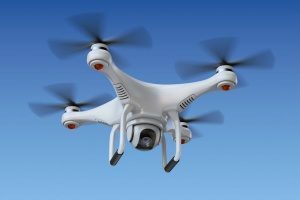 In the event, you are flying a drone over a crowd during filming and it suddenly falls out of the sky and a bystander is struck by the drone and is hospitalized. Through a Medical Payments Insurance policy at MFE Insurance, the hospital fees are covered.